See if you can precision pass with the new Football toss inflatable game!! 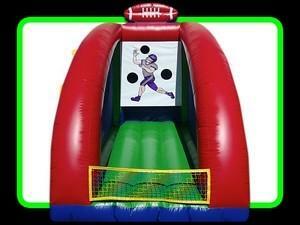 Perfect for entertaining your guests and having fun your whole event!! Comes with three balls.